As humans we come to point where we have difficult questions about our lives, situations and issues we need answers to. Also we come to point where we desire insight into some issues. To gabble is wrong and consult just anybody has its dose of risk in it. As Christians, we have the privildge of consulting the most reliable intelligence. Today, I want to share with you my understanding on how to get answers to difficult questions from that intelligence. The main point I got from the first verse is what should be my attitude as the true Disciples of Christ who is confused, ignorant or desirous of learning anything. You see, we come to points where we don’t understand something or are confused about what is going on in the world or in our lives. It’s doesn’t mean we are not Christians again. It also doesn’t mean we are not true Disciples of Christ. In fact, it means we really qualify to be discipled by Jesus. When we come to such conditions many of us take to making assumptions. Some look out for the most popular views. But that’s not what Jesus’s disciples did. They went to the Master to ask. They didn’t ask themselves alone. It wasn’t even the top religious leaders that they went to ask. They went to Jesus Christ to ask. You and I have come to points where we are confused about matters like marriage, money, career and success. Unfortunately, we just cry, and vent our confusion in complaining and sometimes blaming God. But that’s not the right reaction of a true disciple. Now that we have understood this, let’s not go through life guessing and making assumptions. Let’s not go through life in confusion without clarity on anything. They wanted to know who the greatest in the Kingdom is and they went to ask Jesus Christ. That means if we go to God is search for the way of prosperity, marital bliss and career exploit, he will oblige us. More reason why we need to go to him to make enquires about life is that they are many views on how life should be lived. As true disciples of His, we must crave to ensure that we live like him. We must ensure that our lives are reflection of what He wants. We must not fall for popular views and ideologies but seek to know what He wants us do. My dear, we have a father, friend and mentor who can teach us. We must consult Him on any subject, case, situation, person and He will answer us. Guess what? We don’t need to pay consultancy fee. Yes, we don’t have to. He knows everything from the beginning. He knows the direction of world economics and technology. He knows every human being; more than you and I can ever find out. 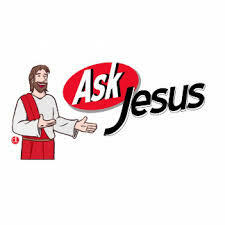 Now that we have realised that we need to ask Him for clarity as true disciples, don’t even feel that Jesus is in heaven and can’t deliver the answers to our questions. When He left, he sent the Holy Spirit who will answer questions in our heart. Sometimes, in answer to our quest for answers, He moves us read, listen to some truths and arrange our meeting certain people. You may be an Ethiopian Enuch who has been wondering on the secret of revolutionary broadcasting or cure for autism and he will send you a Philip. My dear, we have a father, friend and mentor who can teach us. We must consult Him on any subject, case, situation, person and He will answer us. Guess what? We don’t need to pay consultancy fee. Yes, we don’t have to. He knows everything from the beginning. He knows the direction of world economics and technology. He knows every human being; more than you and I can ever find out. That’s why we can ask Him, “Do you think this guy proposing me is right?” We can find out from him about that lady that our heart is sold out to. As true disciples of Jesus Christ, we have access to ask Him for anything we desire clarification for. It’s our privilege. We must maximise it. May we be ready and eager to ask God for any clarification we need at any point in life in Jesus name.